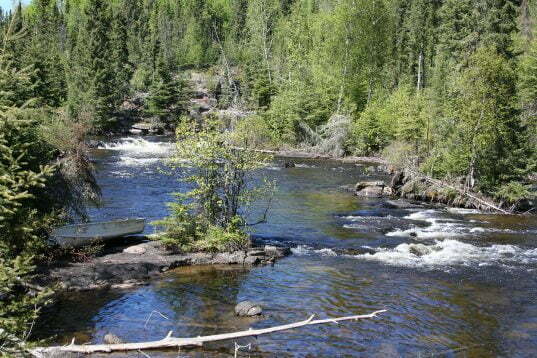 The camp is located on Rowdy Lake which is part of the Sturgeon River system. 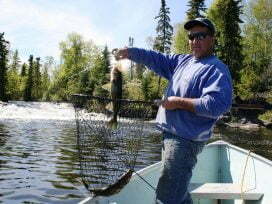 On the north end of the lake, majestic Sydney Falls flows in creating magnificent scenery and spectacular fishing. 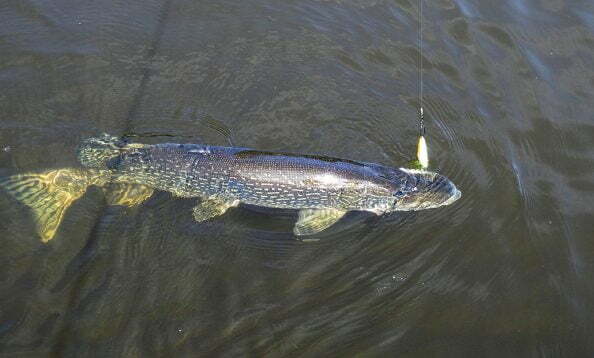 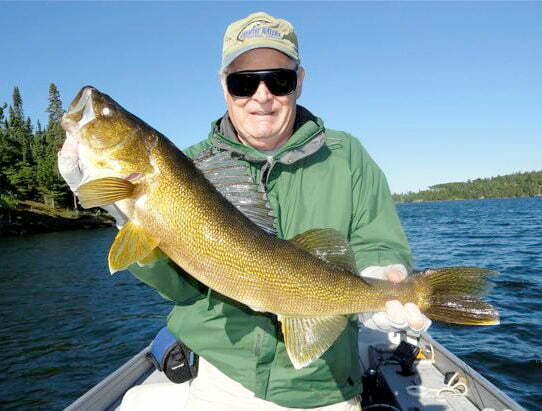 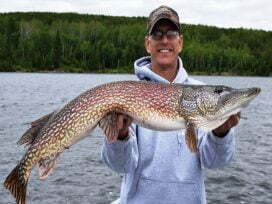 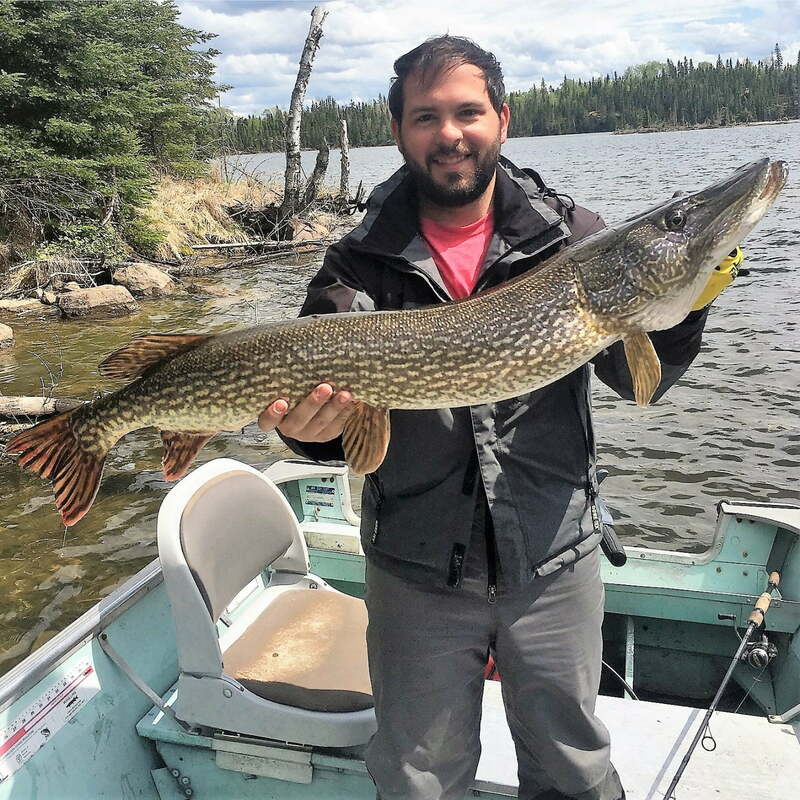 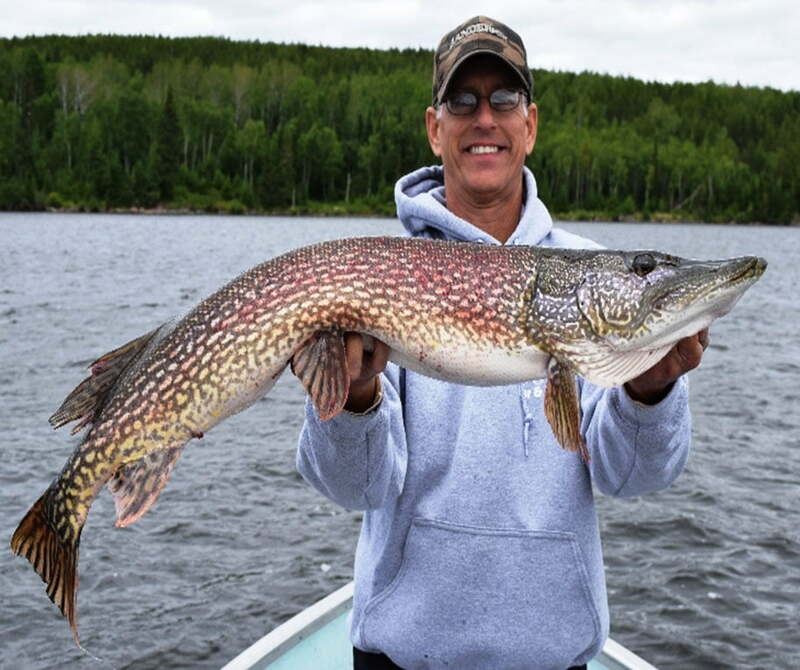 You don’t know if your next cast will be a trophy Walleye or monster Pike. 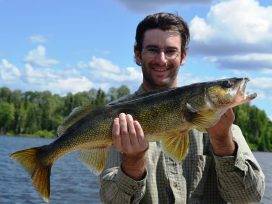 The north end of the lake is dotted with several islands, lots of bays and creeks providing a great fish habitat. The southern part of the lake winds around with more islands and is the deepest part of the lake. 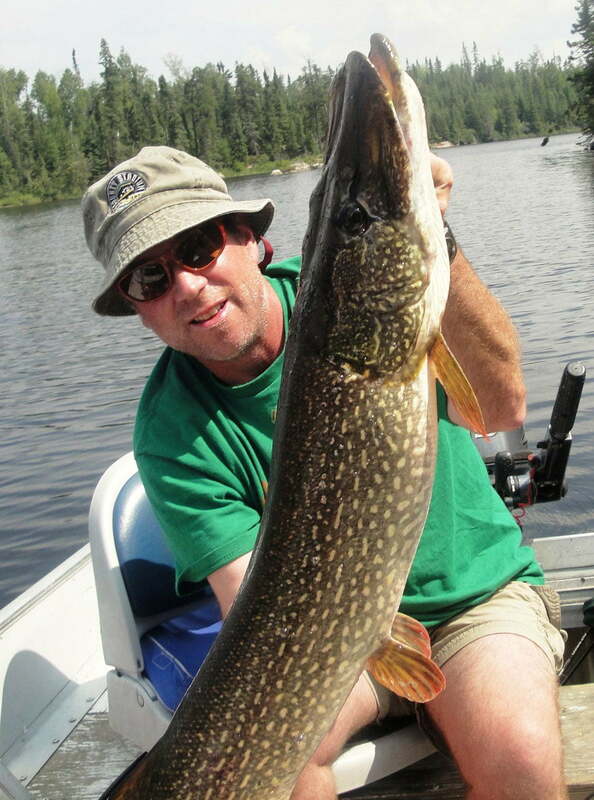 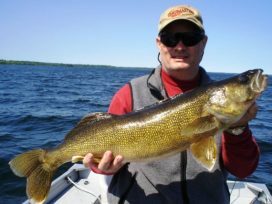 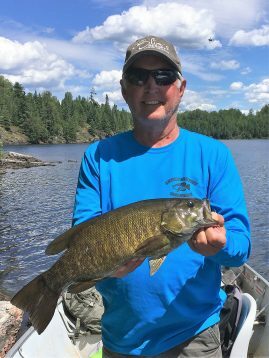 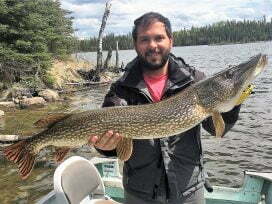 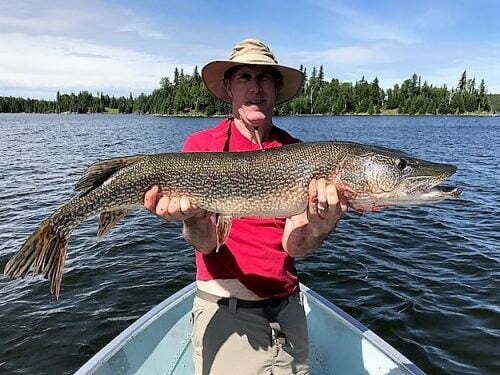 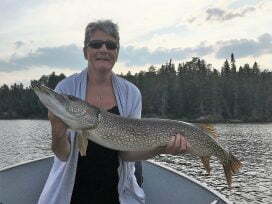 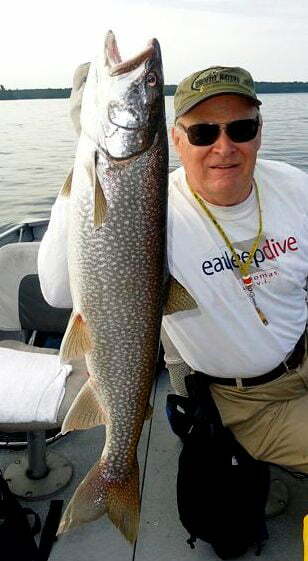 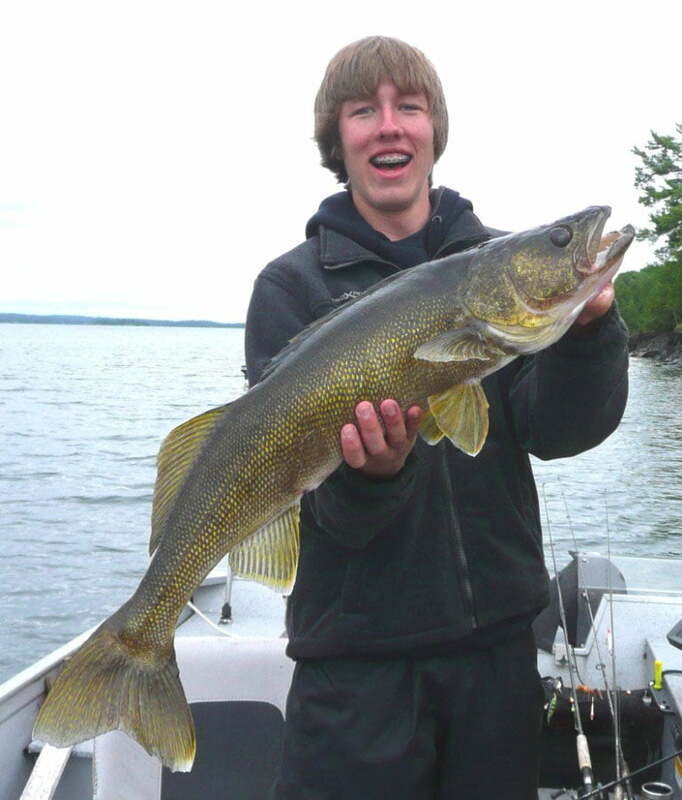 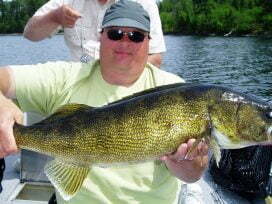 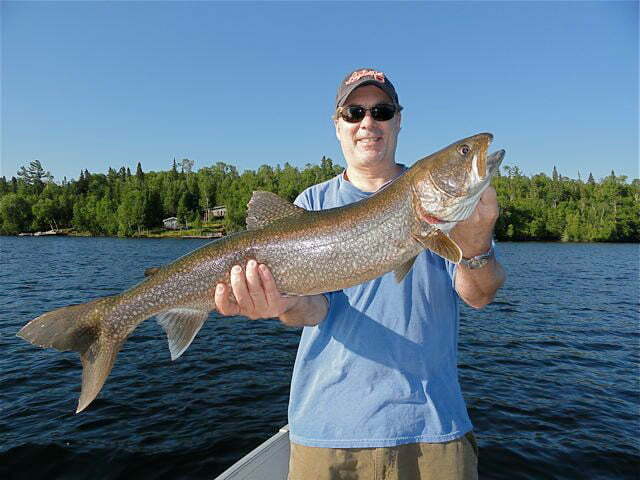 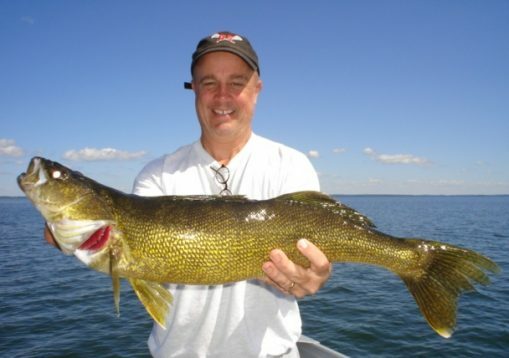 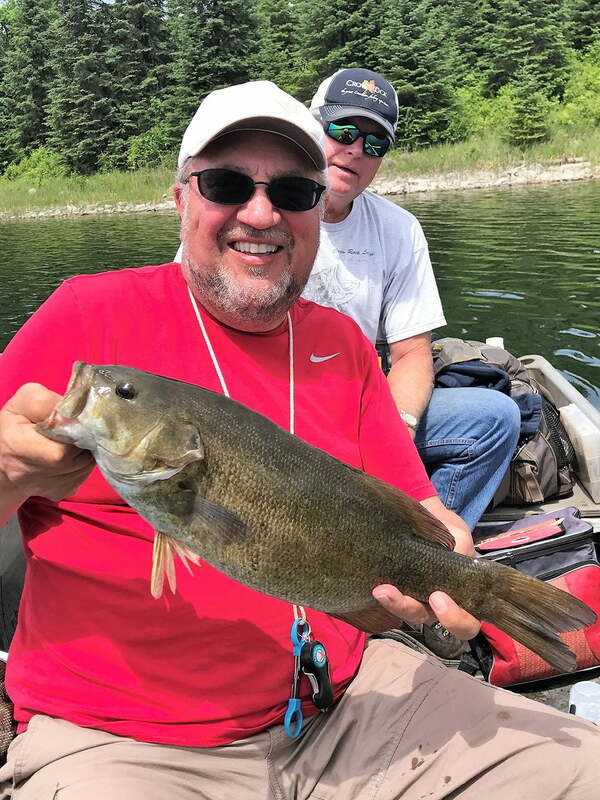 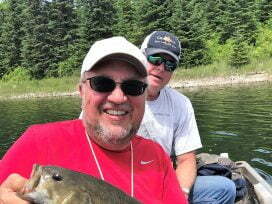 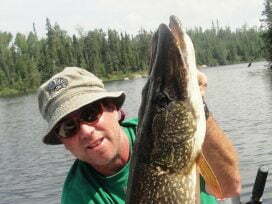 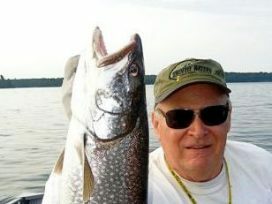 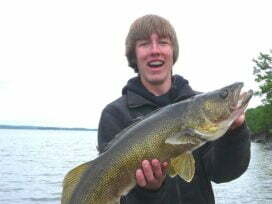 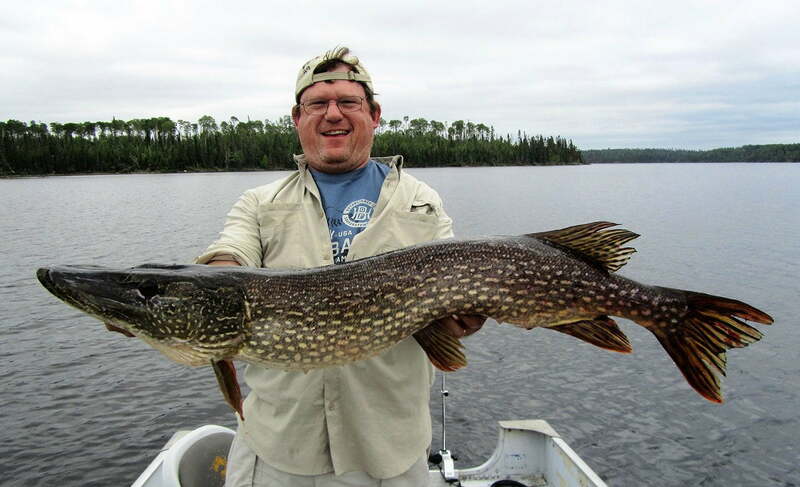 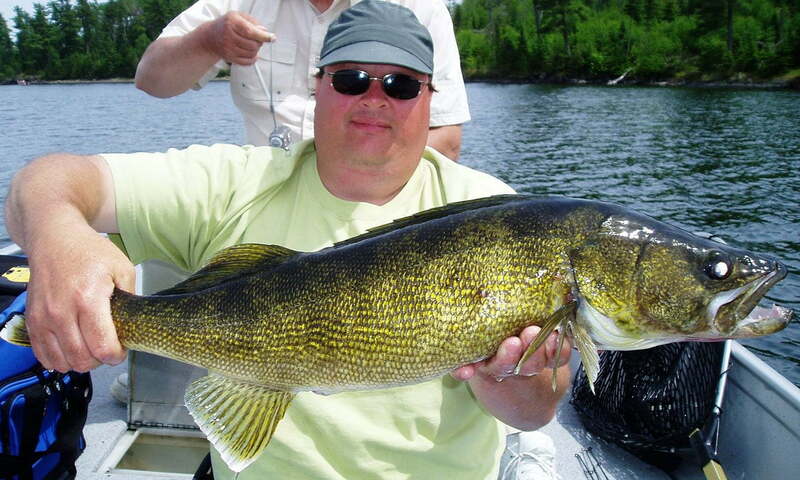 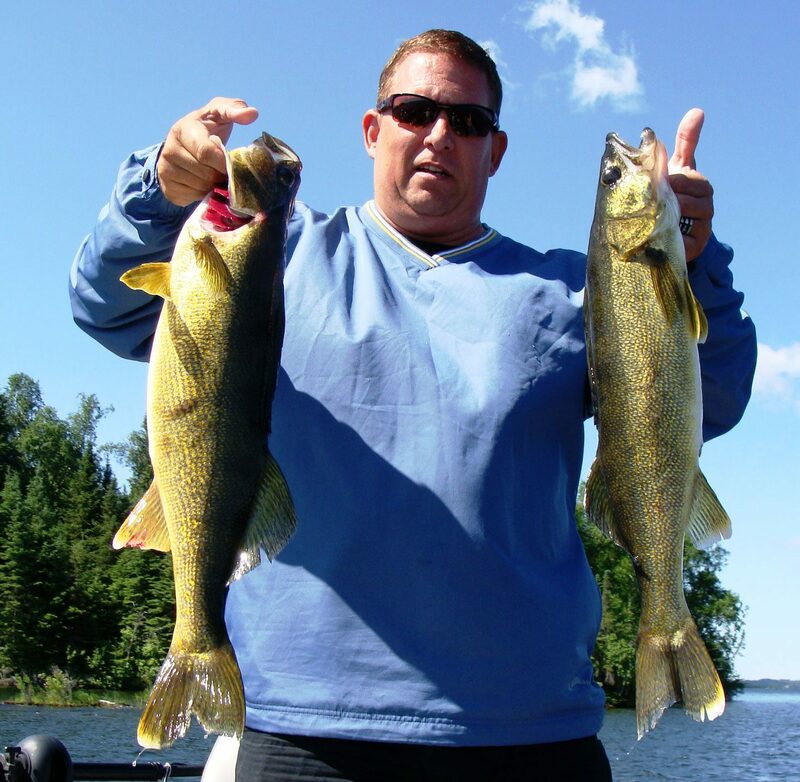 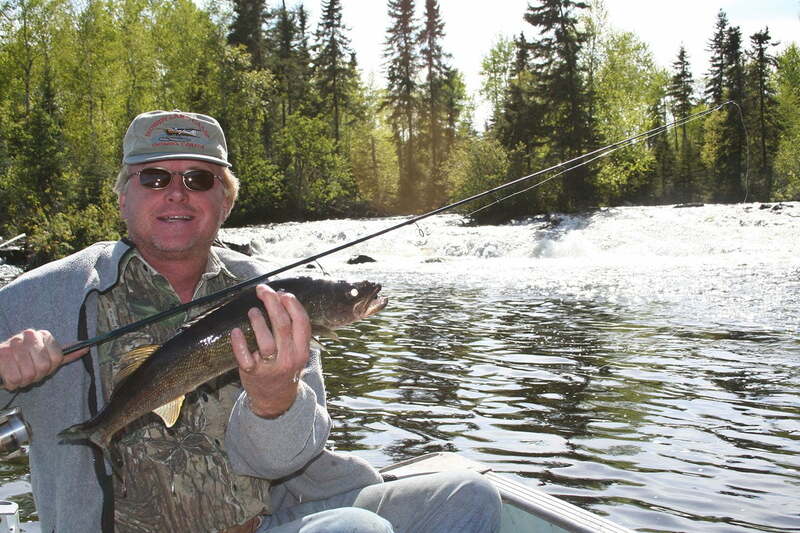 Here you will find more Lake Trout and lots of Walleye and Pike. 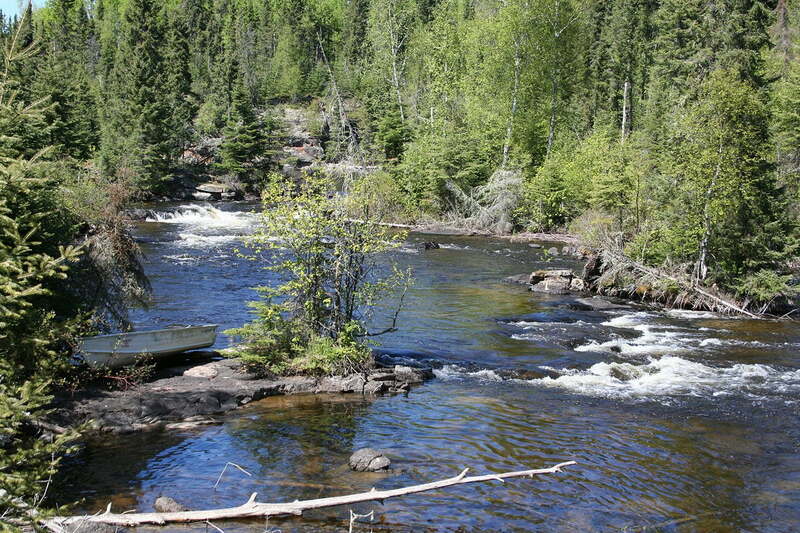 To the far west end of the lake, there is another beautiful waterfall called Chavel Falls that enters the lake. This scenic cascading fall is a magnet for fish. 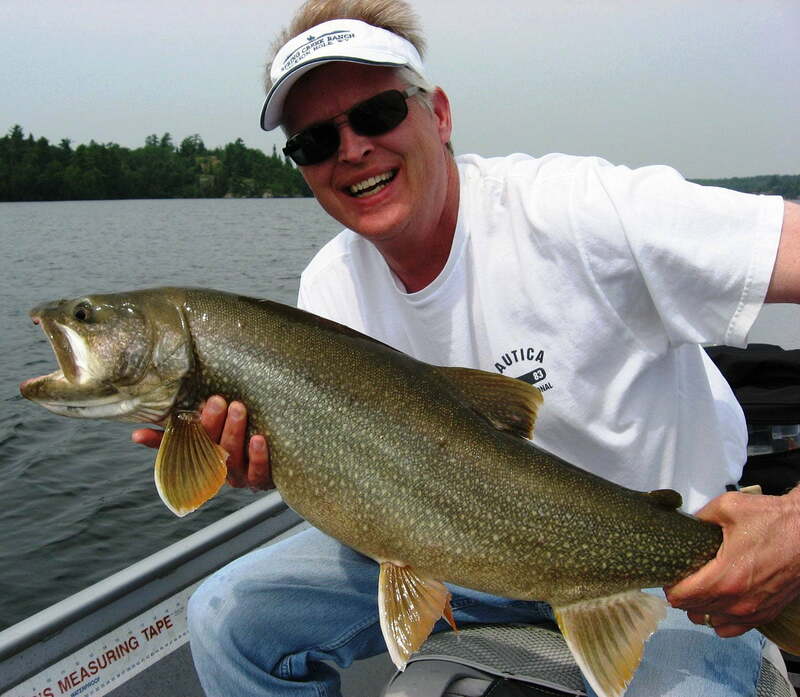 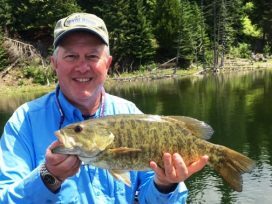 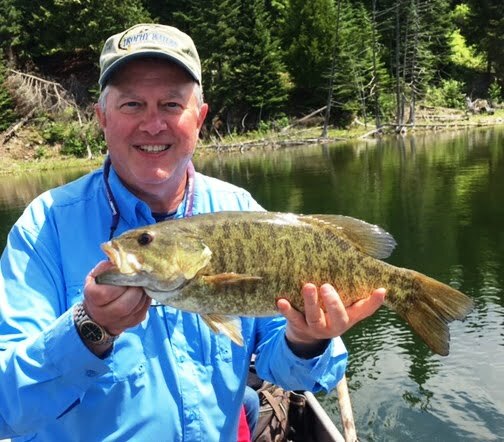 Please see our 7 remote walk-in lakes for more fishing options. 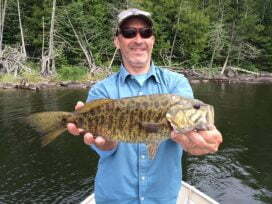 6-7 ft rods, medium to heavy action. 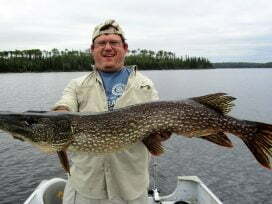 8-9 wt. 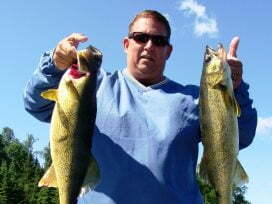 Rods and fly line. Floating fly lines and sinking lines. 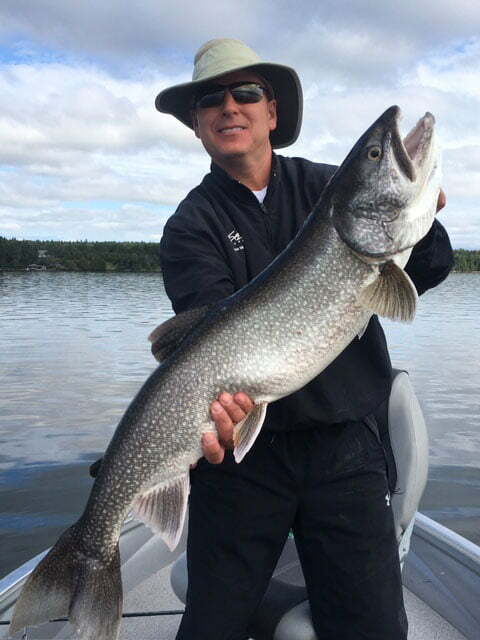 6-7 ft. leaders and a 20-30 lb. 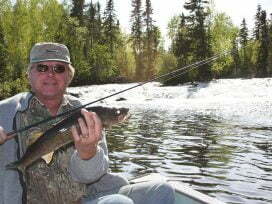 shock tippet or wire leader. 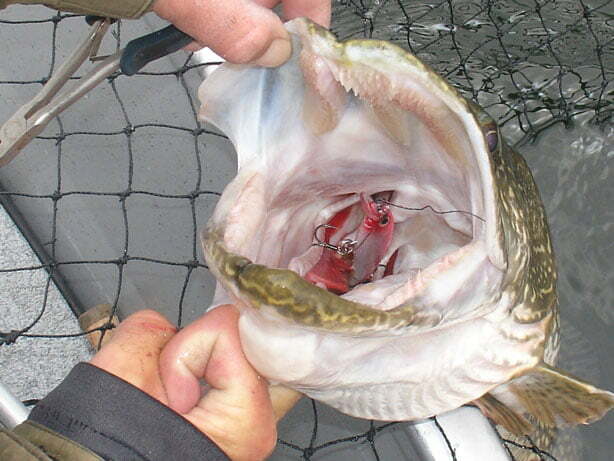 Please remember to go barbless or bend your barbs down, especially on your treble hooks. 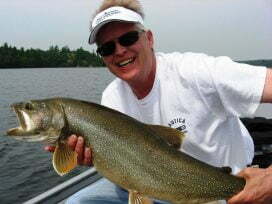 1-800-547-FISH (3474) - Call Us Now Toll Free!